The Ancient Egyptians considered the blessed dead “the living ones.” In pre-dynastic times and in the earliest dynasties the people were believed to follow their deified ruler from this world to the next. Their immortality depended on that of their ruler. This is why the ruler was to be righteous and undefiled by contact with blood or corpses. This world and the rulers of this world were viewed as mirror reflections of the eternal word, or what Plato would call the Forms. In fact, Plato likely borrowed this concept from the ancient Egyptians. In this view, the material world mirrors the eternal world into which the ruler leads his people in procession. The body of the dead ruler was carried in procession to the tomb, his retinue following behind. The procession to the tomb was the earthly journey that would be continued beyond the grave at the deified ruler's resurrection. This stands behind Paul’s description of Jesus Christ leading captives from the grave to the throne of heaven. This conception relates to the Egyptian belief in Duat, the death and rebirth associated with the underworld and the heavens. Each day, Ra journeyed in his solar boat above the earth toward the west, and at night he passed under the earth to be reborn at dawn. In Early Dynastic burials, mirrors were placed in the hands or by the feet of the deceased. Most were placed near the face, head or shoulders. Mirrors were painted on the walls of burial chambers or on coffins. Many appear with a red dot, a sun symbol associated with Re or Osiris. The rulers of Egypt were associated with Osiris in death. When Osiris rose from the dead they would, in union with him inherit eternal life and in that life intercede for their people. Beginning around 1550 BC, the idea arose that less noble persons would also inherit eternal life if they were properly initiated. 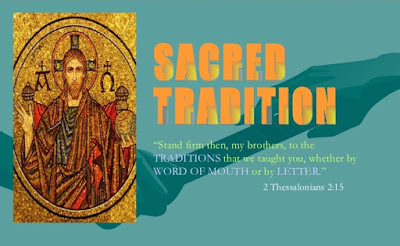 This pertained to those with substantial resources, and the practice was encouraged by the priests who encouraged sacrifices in order to line their pockets. In Egyptian poetry there are frequent references to mirrors, and iron mirrors were called "kharsini" (Arabic), a reference to the Khar or Horite ruler-priests who fashioned such artefacts. A mirror constructed of a highly polished selenite flake set in a wooden frame dates to the Badarian era (c. 4400 to 4000 BC). It is from the same period as the Badarian ritual flint knives used by Horite rulers for circumcision. A popular mirror form was the ‘divine standard’ design accompanied by Horus falcons. The round disk represented the Sun, the emblem of Horus' father. This design, with single or double Horus-falcons, was used throughout the Pharaonic era and resembles the Ankh, the Ashanti and Akan fertility doll, and the Agadez cross, all symbols of life. Egyptian mirrors consisted of three main parts: the mirror disk with an integral tang, formed from copper, bronze alloys or silver; the umbel formed from wood, ivory, bone, horn or metal, and the handle, usually made of the same material as the umbel. 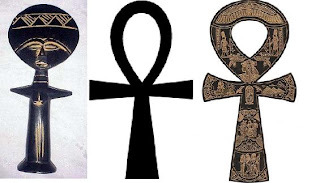 Three parts are typical of images of the sacred triads of ancient Egyptian theology. One triad is the divine family Osiris, Hathor and Horus. The umbel was sometimes crafted into a stylized head of Hathor, the virgin queen and mother of Horus. She is depicted in Egyptian iconography as a cow who gives birth in a manger. The Akan of Ghana were originally a Nilotic people and greatly influenced by ancient Egyptian/Kushite ideas. The structure of a fertility doll is like the Egyptian mirrors and also resembles the Ankh. It has a huge round head and narrow body, and it is shaped like a cross. The lower section is like the hieroglyphic sign for stability known as the Djed. The Djed is Osiris' backbone and the Djed Pillar (shown left) is the oldest known symbol of the Resurrected God. Djed amulets were thought to bring regeneration. 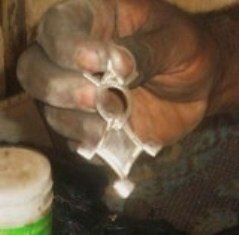 Another sacred triad is represented by the Agadez cross, comprised of the Sun over the mountain peak. The diamond shapes to the left and right represent the east-west movement of the Sun and the diamond at the bottom represents Duat. The mountain peak is reversed at the bottom of the cross and points to the underworld as a mirror reflection of the peak that points to the Sun and the heavens above. This symbolism is pre-Christian and pertains to ancient Egyptian/Kushite cosmology. The Sun as the symbol of the Creator speaks of death and resurrection. It also speaks of the immutable nature of God and the certainty of His promise to those who put their faith in the Son of God. Christ is spoken of as the "Sun of rightouesness" who rises with healing in His wings. This may refer to Horus as a falcon flying over the Sun, as he is depicted in many ancient Egyptian/Kushite icons. 2. “Man, Myth and Magic", Osiris, vol. 5, p. 2087-2088, S.G.F. Brandon, BPC Publishing, 1971. The disk as a highly polished reflecting mirror makes a lot of sense. And that it may be derived from a face symbol is also very plausible linguistically. I wonder about the "cow" face or Hathor face with the outstanding ears and how it came to have this shape? This iconography seems to endure over thousands of years. Its origin could be represented by the Nabta Playa archaeological site. It is located at an ancient bend in the Nile before its course changed. It has been suggested that this is the origin of western culture. Migratory Cattle cults with the themes of lion and cattle are the inventors of calendars. They needed to know when to arrive at watering areas. Yes, the iconography is very old and endured in Palestine into the Roman Period in the form of altars resting on the backs of bulls. The Nilotic cattle herders observed both the solar day and the lunar phases. The two great heavenly orbs that shine light are represented by the mirror. The image on the mirror handle shown is that of the drawf Bes with the big ears. Bes? Very surprising! It looks very much like Hathor. Actually, I agree. I wonder if the image was labeled wrong at the blog where I found it. Bes' face is usually more puggish and his ears aren't so pronounced. Today while in church I contemplated an icon of the Theotokos and thought of your observation. In the icon Mary's pregnant belly is a radiant orb and the Christ Child is there wearing a crown. Remember that the Angel told Mary that she would conceive when the Spirit "overshadowed" her. This is what was anticipated by the Horites; that the Sun would overshadow one of their virgins and she would bring forth the "Son of God." We seem to be on same wavelength. Shadows are exactly what I have been reading about and trying to understand what the ancients thought about them. I think "henna" is the origin of gyne but cannot find definitive proof. I think it means "membrane".